At least 11 people died and more than 100 people were injured at an annual spring festival in eastern Pakistan celebrated with the flying of thousands of colorful kites, officials said Monday. 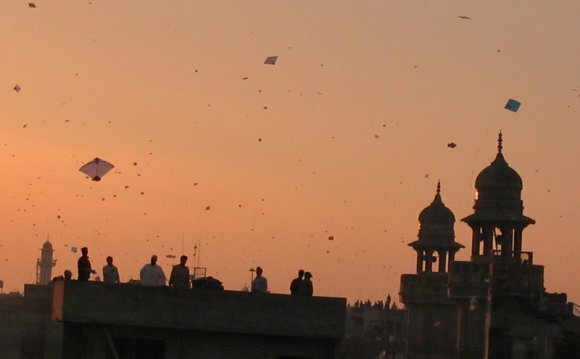 The deaths and injuries were caused by stray bullets, sharpened kite-strings, electrocution and people falling off rooftops on Sunday at the conclusion of the two-day Basant festival, said Ruqia Bano, spokeswoman for the emergency services in the city of Lahore. The festival is regularly marred by casualties caused by sharp kite strings or celebratory gunshots fired into the air. Kite flyers often use strings made of wire or coated with ground glass to try to cross and cut a rival's string or damage the other kite, often after betting on the outcome. Authorities temporarily lifted a ban on kite flying that was imposed following a string of deaths at the festival last year. Lahore Mayor Mian Amier Mahmood said the two-day permission to fly kites ended Sunday and that the ban has been re-imposed. Police arrested more than 700 people for using sharpened kite strings or firing guns, and seized 282 illegally held weapons during this year's festival, said Aftab Cheema, a senior Lahore police officer. Five of those who died on Sunday were hit by stray bullets, including a 6-year-school boy who was struck in the head near his home in the city's Mazang area, Bano said. A 16-year-old girl and a school boy, 12, died after their throats were slashed by metal kite strings in separate incidents. Two people were electrocuted while they tried to recover kites tangled in overhead power cables, Bano said. A 13-year-old boy fell to his death from the roof of his home as he tried to catch a stray kite, and a 35-year-old woman fell off the roof of her home trying to stop her son from running after a stray kite, Bano said.